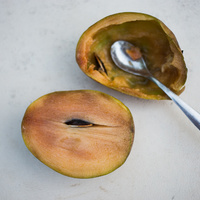 Sapodilla is a fruit- and gum-yielding tree originating in tropical America, its natural range extending from Mexico, through Central America, to northern parts of South America. 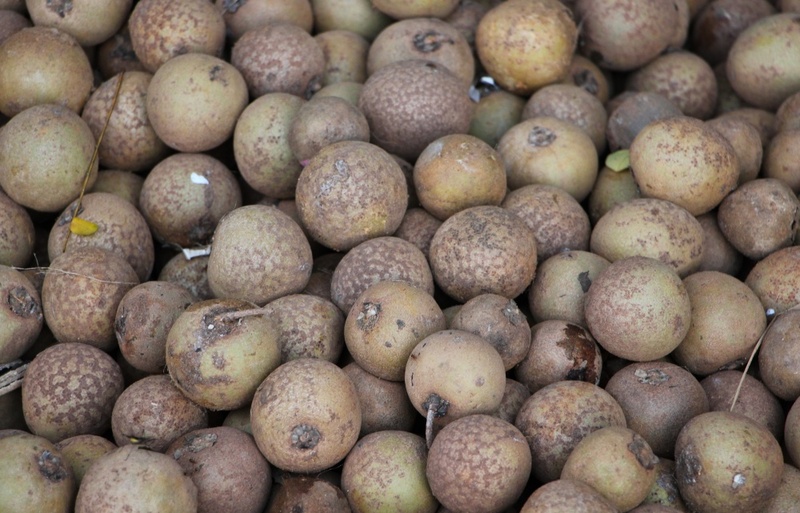 Nowadays, it is widely cultivated for its fruit in many subtropical and tropical regions of the world. A tall tree in natural forests, it reaches heights of up to 40 m (130 ft) with a straight round trunk up to 1.5 m (5 ft) in diameter. 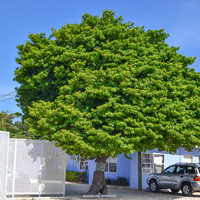 On open sites, it is more typically a medium-sized tree 9 to 15 m (30 to 50 ft) tall with a low-branching trunk supporting a densely branched rounded crown. The bark is dark brown, rough and on wounding yields a sticky milky-white sap, as do all other parts of the tree. 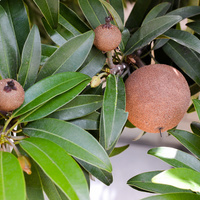 The leaves are elongated oval, 3 to 13 cm (1.2 to 5.2 in) long, tapered at both ends, dark glossy green on top, dull light green underneath and spirally arranged at the ends of the branches. They remain on the tree throughout the year. The flowers are small, white, bell-shaped and borne singly at the leaf bases. They bloom to their fullest in the rainy season, but may also bloom at other times in constantly humid areas. Fertilised flowers are followed by egg-shaped fruit, 5 to 10 cm (2 to 4 in) long, maturing four to five months after fruit set. They have thin, rough brown skin surrounding brownish pulp with three to six glossy black seed at the centre. 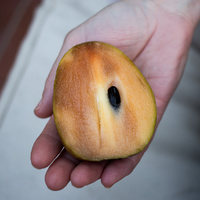 The fruit are harvested when mature but still firm to the touch, then they are set aside for a few days until they become soft, which indicates their readiness for eating. 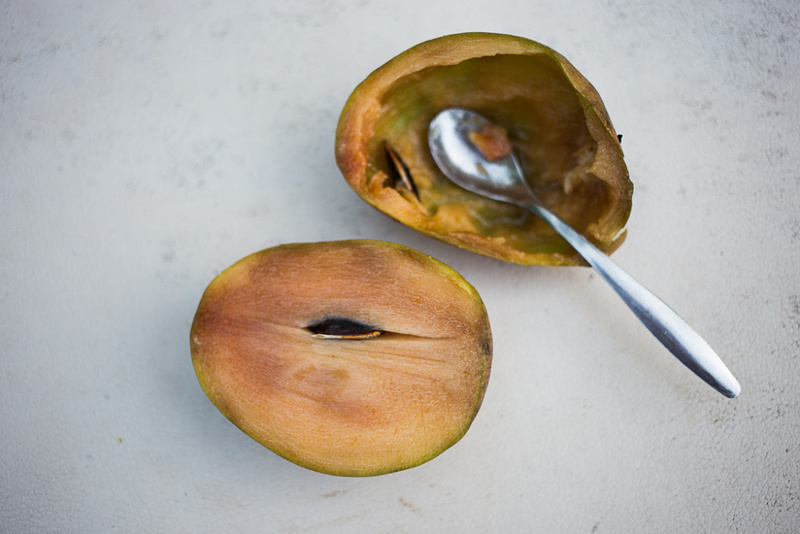 They are mostly eaten out-of-hand, either sliced in half or pulled apart and the pulp scooped out with a spoon, leaving the seed behind. 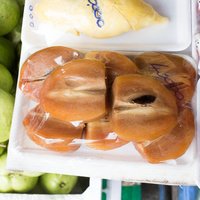 The pulp is soft, juicy, melting, mildly gritty and very sweet, reminding somewhat of brown sugar or caramel. A squeeze of lime juice is sometimes added to counter the sweetness. It is suitable for incorporating in desserts such as fruit salad and is easily pureed and smoothed with milk, cream or yoghurt. The bark on wounding yields a sticky, white latex known as 'Chicle', which is tapped in a similar manner to rubber latex from the Rubber tree (Hevea brasiliensis). V-shaped incisions are made in the bark and are so arranged to allow the latex to flow in a stream to the base where it is collected in a receptacle. This method yields per tree from 1.0 to 3.5 kgs (2.2 to 8 lbs) of latex annually, depending on the size of the tree and the growing conditions. Chicle latex is coagulated by heating it to form chicle gum, which is the basis of chewing-gum, a widely consumed masticatory in the United States and other countries. 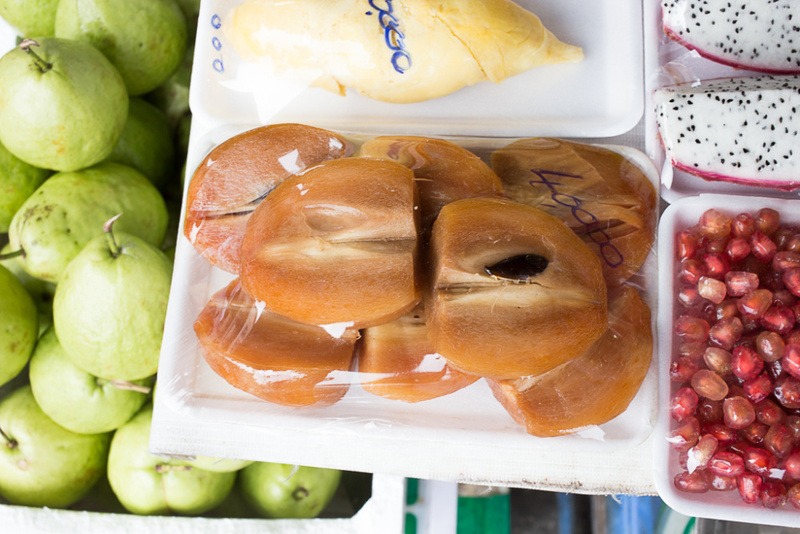 Chewing-gum is sweetened and flavoured with mint, cinnamon, ginger, vanilla and the flavours of various fruit. The wood is dark red, very hard and heavy, averaging about 860 kgs per cubic meter (54 lbs per cubic ft), with good natural resistance to rot and decay. When available, it is used in heavy construction, railway sleepers and for tool handles. However, the tree is not usually felled in areas where the fruit is eaten or the latex harvested. Grows naturally in sub-humid to humid subtropical and tropical climates, generally in frost-free areas with annual lows of 12 to 25 °C, annual highs of 22 to 35 °C, annual rainfall of 1000 to 3200 mm and a dry season of 7 months or less. 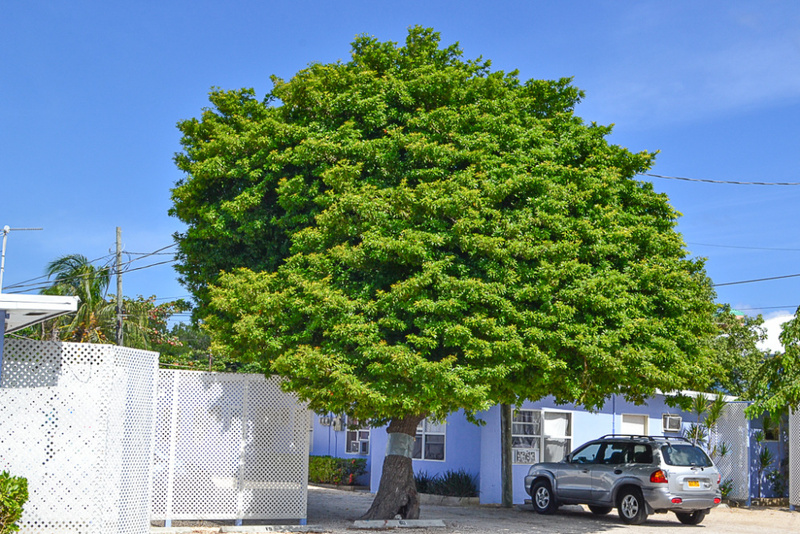 Sapodilla trees may fail to thrive in areas where the average low of the coldest month is below 8 °C (46 °F). New plants can be started from seed, cuttings, grafting or air-layering (circumposing). Seedling trees are, however, notoriously slow-growing and take a long time to come into fruiting. Vegetatively propagated trees start flowering and fruiting when three to five years old. Performs best on free-draining clay, loam and sand soils of a moderately acid to alkaline nature, generally with a pH of 5.0 to 8.0 and on sites with full to a partial sun exposure. It has good tolerance to limestone soils but poor tolerance to slow-draining and waterlogged soils. There are many varieties, with differences in fruit size, shape and eating quality, as well as differences in climate and soil adaptability. 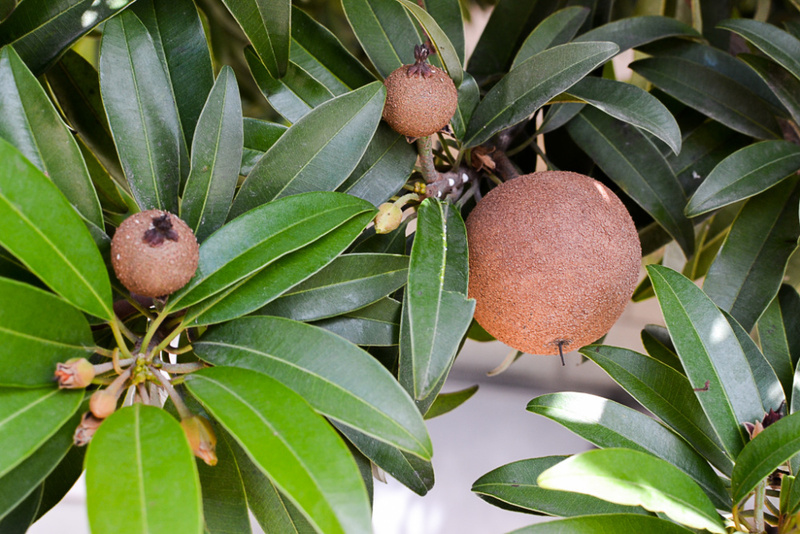 Medium sweet varieties include 'Profilic' and 'Modello', both originating in Florida. 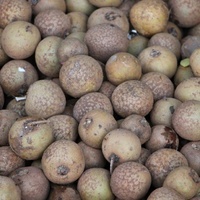 Very sweet varieties include 'Brown sugar', from Florida, 'Dwarapudi' and 'Cricket Ball', from India, 'Sawo Manila', from the Philippines and 'Makok', 'Kai Hanu' and 'Krasuey' from Thailand. Annual yields reported per tree range from fifty to two hundred fruit for South Florida, to up to one thousand fruit for large trees in India. 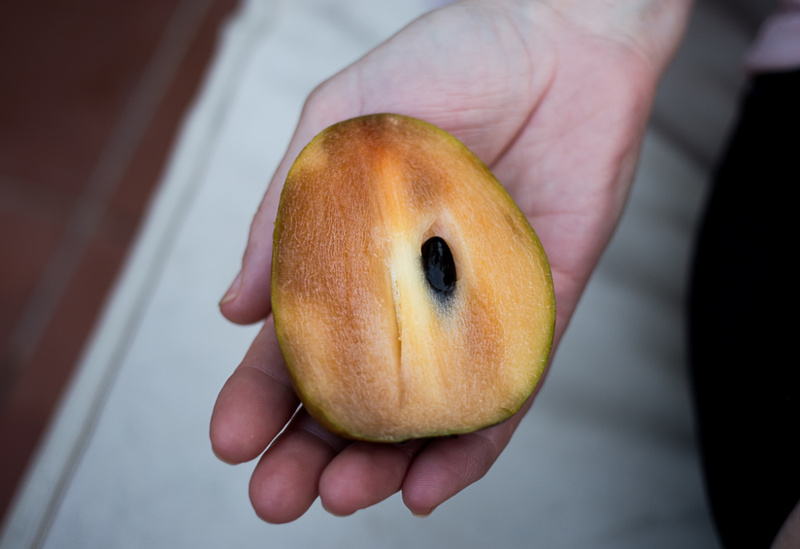 Birds and other animals eat the fruit and disperse the seed. Once established, it re-seeds naturally and can spread locally. It is assessed as a high weed risk species for Hawaii and Florida, respectively by the Hawaii Pacific Weed Risk Assessment project (HPWRA) and the IFAS Assessment of Non-Native Plants in Florida's Natural Areas.